That 'miracle' transformed South Korea into a high-income advanced economy. It is now the world's sixth largest exporter and seventh largest importer, and is home to some of the world's most influential technology brands such as Samsung, LG and Hyundai-Kia. South Korea has emerged as an industry leader and has been named the world's most innovative country in the Bloomberg Innovation Index. South Korea's rapid growth has produced some impressive statistics:Â it now has the world's top ICT development, the world's fastest Internet and the best LTE coverage. Situated between China and Japan, two of the mightiest modern technology states, South Korea outperforms them in many ways. According to Andrew Braun who writes for IDG Connect, South Korea's tech dominance is the result of government planning, healthy competition, private-sector growth and the Korean culture. None of these factors has singlehandedly produced South Korea's leadership but together they have created a country with an excellent and efficient system. Back in 1995 South Korea had only one Internet user for every hundred citizens. In that year the Korean government initiated the Korean Information Infrastructure project that ran for ten years. The government got to work laying Internet infrastructure throughout South Korea and by 1998 the entire country had broadband connections. According to Braun, by 2000, South Korea had connected 20 million of its roughly 45 million citizens to the Internet, outperforming the likes of Japan and France. Today about 84 percent of the country's population is connected to the Internet (95 percent on broadband). 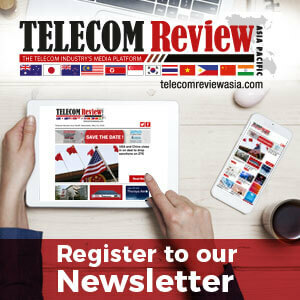 In addition, healthy competition contributed to the South Korea's telecommunication growth. Having adopted a policy of deregulation in the private sector South Korea was able to ensure that barriers to entry were low for new internet service providers (ISPs), which brought about healthy competition. ""With these liberal standards in place,"" writes Braun, ""private-sector operators were able to expand the Internet from a skeleton framework into a country-wide system, and speed up the Internet through relentless competition."" In 2005, large telecom companies were put under pressure by smaller competitors who were picking up shares in the DSL market (which was the primary connection method at time). It was then that Korea Telecom began to lay fiber optic networks, which helped it retain market share and upgraded South Korea's Internet capabilities. According to Linda Butcher, Director of Media Relations and Public Affairs at the Korea Economic Institute, it was not only the Korean government that encouraged the adoption of the Internet, but also private companies that undertook much of the structural work. ""In a country like Korea,"" Butcher told Braun in an interview, ""when you get a green light from your government, you go ahead with full-force and try to be successful in that field,"" she said, referring to the symbiotic relationship that businesses seem to have with the government in South Korea. This cooperative relationship between the private and public sectors of South Korea, according to Braun, encourages innovation and competition, and as a result, ""the country's technology-driven economy provides a host of benefits to its citizens."" The citizens of South Korea live in a wealthy, comfortable country, considered by the Human Development Index to be the most developed in East Asia, and among the world's richest. South Korea was recognized in 2015 by the ITU as the only Asian country to lead the ICT Development Index (IDI). The ranking is a composite measurement that ranks 167 countries according to their level of ICT access, use and skills. South Korea shared the top ranking with Denmark and Iceland, outperforming other high-income nations from other regions including Australia, Bahrain, Barbados, Canada, Hong Kong, Japan, Macao, New Zealand, Singapore and the United States. South Korea also tops the rankings of LTE coverage. According to data provided by OpenSignal, in certain countries around the world, LTE has become a ""near ubiquitous technology"". OpenSignal collected its data from smartphone owners through its app, which is available on iOS and Android. For its report The State of LTE OpenSignal gathered over three months' worth of data in 2015 from thousands of users with LTE-capable phones and able to connect to operators with live 4G networks. From the data collected, South Korea came out on top, providing download speeds in excess of 25Mbps and near ubiquitous 4G coverage. Singapore was not far behind, with three major operators beating South Korea in terms of speed, but unable to match South Korea's network availability. Korea Telecom's Olleh stood out as one of the fastest networks in the world, and delivering an active LTE signal 96 percent of the time. In comparison, the United States has below-average speeds, but decent coverage, whereas Japan's operators provide excellent coverage but average speeds. South Korea also came out on top for LTE availability. Customers on South Korea's networks can connect to LTE 97 percent of the time, making 4G almost as pervasive as 2G and 3G networks in the country. Even more impressive was the individual performance of South Korea's LG U+ which had LTE availability of 99.6 percent. Japan also scored well, but no other country was able to provide a 4G signal more than 80 percent of the time. 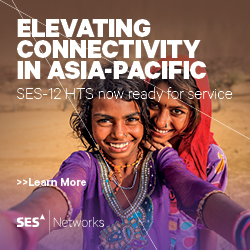 South Korea is the perfect example of a country that has deployed new LTE systems in new frequency bands, adding more capacity to its networks, allowing it to serve more customers without reducing performance. Every operator in South Korea now has LTE running on three different bands, all using an LTE-Advanced technique called ""carrier aggregation"" which combines bandwidth at different frequencies for faster connections. Some of the earliest countries to introduce LTE, such as the United States, Sweden and Germany are beginning to fall behind in terms of data performance. 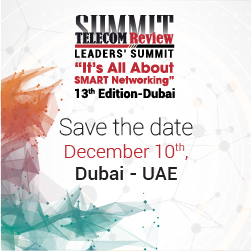 The reason for this is that LTE's early introduction has resulted in a large base of customers, all competing for the same network resources and reducing average speeds. The US has also failed to keep up with the rest of the world in both spectrum and technology where all four major US operators have been expanding into more frequency bands, but have not been able to match the capacity of countries like South Korea and Singapore.